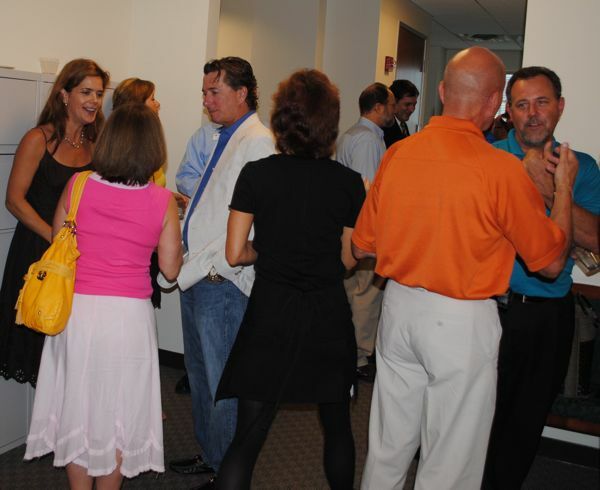 Gregg Weiss celebrated the opening of his Delray Beach office Monday with a little help from his friends. From left, former Delray Beach mayor and Delray Beach Chamber Chairman Jay Alperin, current Delray Beach Chamber Chairman Brian Cheslack, Delray Beach City Commissioner Fred Fetzer, Weiss, Morgan Stanley office staffer Nicole Lee and Branch Manager Jay Rowley. Weiss previously worked in Boca Raton. DELRAY BEACH — After 10 years working in Boca Raton, Gregg Weiss says he’s come home to Delray Beach. Weiss’ connections to Delray Beach run deep. 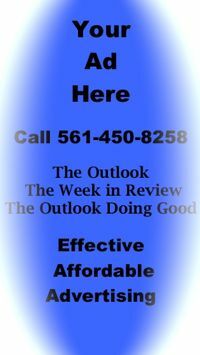 He is chairman-elect of the Delray Beach Chamber of Commerce, a member of the chamber’s economic development committee. the chamber’s men’s group and chair of one of the chamber’s five business leads groups. He’s also involved in myriad charities, including the Carintg Kitchen. 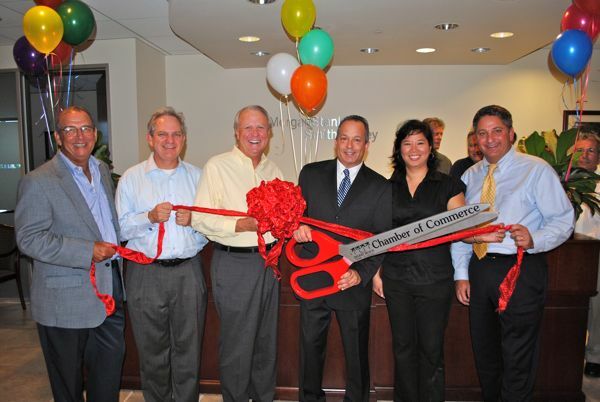 “We’re happy to have you as a part of our business family even though you’ve always been a part of our business family,” Delray Chamber President Mike Malone said. On hand for the celebration were former chamber chairman and Delray Mayor Jay Alperin, City Commissioner Fred Fetzer, current Delray Chamber Chairman Brian Cheslack and other chamber members.